It’s been a while between posts and that’s because Bronny has been busy turning her hand to write for screen. 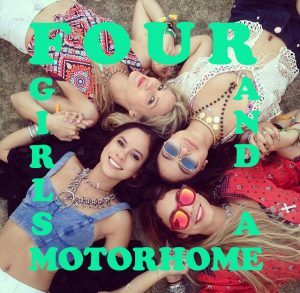 Like most writers Bronny has worked across genres and a couple of years ago now wrote a feature film called Four Girls and a Motorhome. This film has been picked up and is being produced by 222 Pictures in the USA and Running Panda Films and Little Train Creative in Australia. It’s a rom-com, road trip. 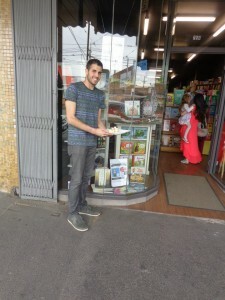 A hilarious romp through Australian culture from the city to the beach to the desert. It has boho babes, hot corporate type guys, bad boys, bikies, surfies and loveable Australian characters. If you want to follow the journey come and say hi at our Facebook page. Bronny has more projects she is working on including a television series, a second original feature and rewriting another feature. 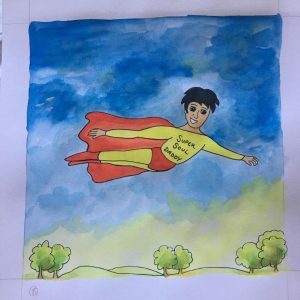 While this all keeps her really busy there is nothing that will stop her launching My Super Soul Dad, an homage to all the step dads out there. And of course, Mother’s Day is just around the corner, a day to celebrate all the mums. You might like My Two Super Mums, My Super Single Mum or My Super Groovy Gran for the mum in your life. But back to Four Girls and a Motorhome! Wondering what it’s all about? Well, this is the new type of chick flick, a rom-com roadtrip film where our heroine learns to love herself and not a man. The film tells the story of unlucky in love and life Sadie, orphaned by her National Geographic photographer parents at a young age she bounces from job to man looking to fill the gap. After another failed romance and job Sadie and her best friend Zoe set off on an epic road trip adventure in an aging motorhome to attend the wedding of childhood friend Annie in Coober Pedy. Joining them on the trip are Zoe’s daughter Lulu, a ten year old bean sprout, and the result of a University affair with visiting African American Professor James. Auntie Margaret who stepped in to raise Sadie after the loss of her parents completes the four girls ensemble. Adding to the roadtrip adventure is Harpo, Auntie Margaret’s lovable toy poodle. As the girls take off on their adventure, what results is a traipse through Aussie culture. 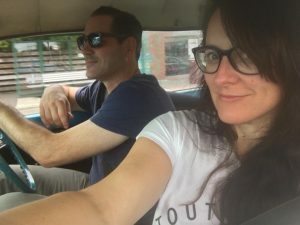 From shaggin wagons, to surfies, to bikies, to stereotypical Aussie caravan park owners, pathological lying ex army creeps and other wedding guests also roadtripping to Coober Pedy. One of these characters is the handsome Liam; a successful advertising agency director smarting after his model wife has dumped him. Four Girls has it all, it’s Priscilla Queen of the Desert meets Muriels Wedding meets How to be Single. Aussie audiences will relate to Four Girls with all its Australian humour and have them laughing in the aisles as they see a bit of themselves in each of the characters. Would you like to know how Easter came to be? When people think about Easter for some it’s about chocolate, easter egg hunts and celebrating time with family whilst for others it’s a religious celebration. It might interest you to know the real story behind how the Easter bunny came to life. The truth is that there is no story about a creature known as the Easter Bunny. Who would of thought! Neither is there about young children painting eggs or hunting. So really Easter is what you make it, so have fun and spend time with your family and friends. Melt blue and Bright White Candy Melts® candy, separately, in dipping containers according to package directions. Melt Bright Pink, yellow and black Candy Melts® candy, separately, in disposable decorating bags. Cut a small point off of tip of disposable decorating bags when ready to decorate. Dip some pretzels halfway in melted blue or white candy. Reserve some pretzels for chick design. Tap dipped pretzels gently on side of container to smooth and remove excess candy. Place on parchment. 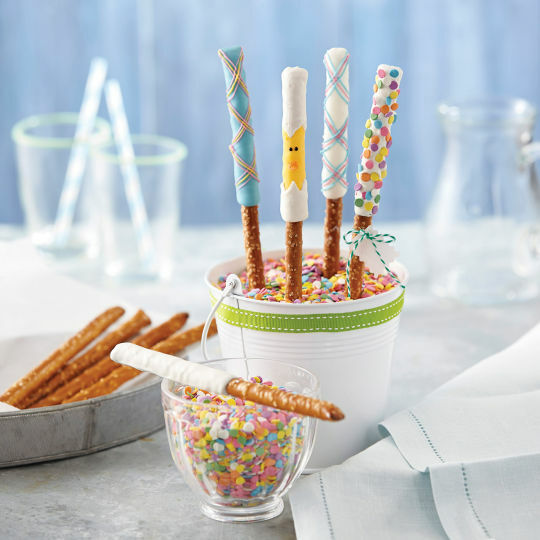 For confetti pretzel, immediately sprinkle with spring confetti mix. Chill until set, about 10 to 15 minutes. Transfer remaining melted candy to disposable decorating bags. Cut a small point off of tip of disposable decorating bags when ready to decorate. Use melted blue and pink candy to pipe diagonal lines on pretzels. Pipe three diagonal lines for each section, alternating blue, pink and blue candy. Space sections 1 in. apart. Repeat in opposite direction to create a crisscross pattern. Chill until set, about 3 to 5 minutes. Follow the same directions for white drizzle pretzels, using melted Bright Pink and yellow candy. Place plain pretzels on cooling grid positioned over parchment. Starting 1½” down from top of pretzel, use melted yellow candy to pipe a rectangle to cover area on pretzel 1½” long. Tap grid gently to smooth and remove excess candy. Chill until set, about 10 to 15 minutes. Use white melted candy to pipe a zigzag edge to cover above and below yellow area. Tap grid gently to smooth and remove excess candy. Chill until set, about 10 to 15 minutes. Use melted black candy to pipe dot eyes. Cut orange spice drop into triangle. Use melted yellow candy to attach. Chill until set, about 3 to 5 minutes. We are so excited to announce that the writing phase of the creative process for My Two Super Mums is complete. This means that the lovely Lisa will now commence working on the illustrations for the book. We expect My Two Super Mums will be ready just in time for Mother’s Day next year so watch this space for this exciting fifth installment in the My Super Family series. Did you know that Bronny can draw? Whilst she doesn’t illustrate her own books she does dabble in the art of illustration and will be as a part of the Crowdfunding campaign we will be launching in the new year a special reward of a framed, signed, personalised illustration just for you! Here’s an example of what you can expect and one of Bronny’s working drawings. We hope you are as excited as we are by this development in Bronny’s work. Don’t forget we love hearing from you, so let us know your favorite books from the My Super Family series and make sure you get your Christmas orders in now in time for Christmas! All 4 books uare just $40 which is an amazing saving. 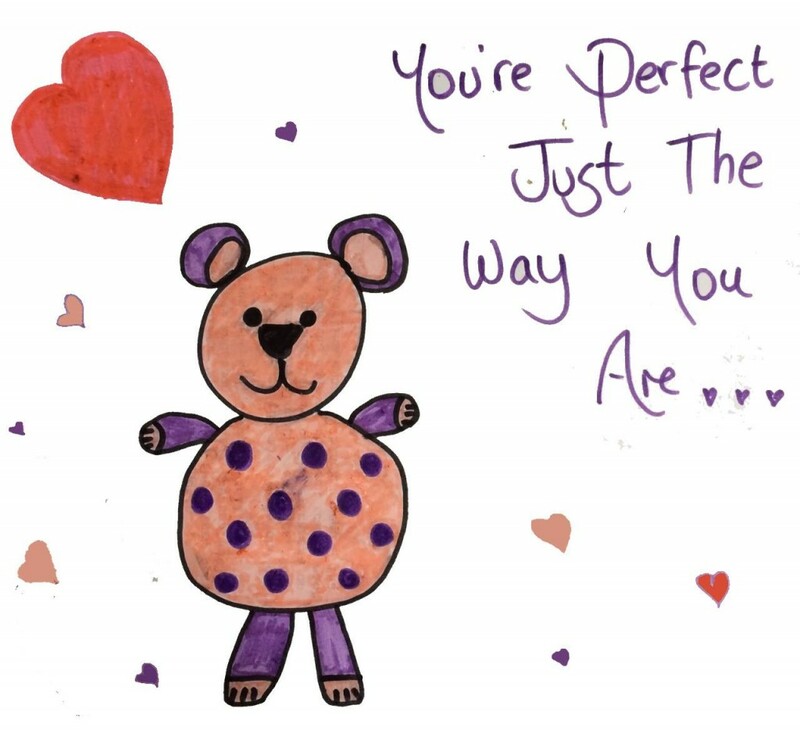 Watch this space for more news and til then, let us know what you think about Bronny and her drawings. 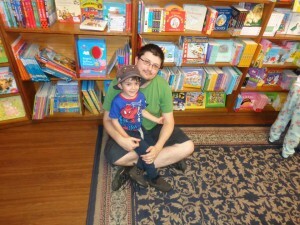 Saturday October 18 was a great day for the Super Family team – it was the launch of My Super Single Dad! The place to be was the fab Little Bookroom in North Carlton where Bronny’s happy helpers Brad and Ella set up balloons and gave the kids gift bags and yummy cupcakes. 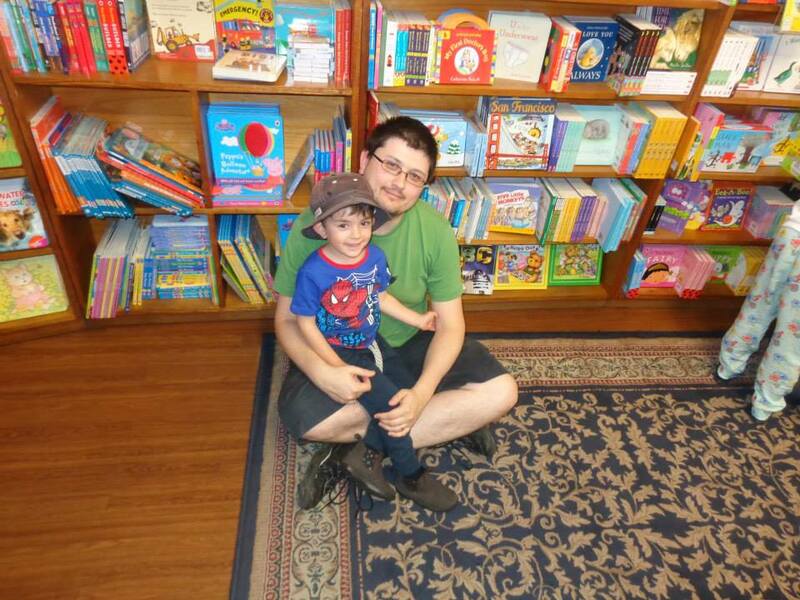 The gift bags featured exclusive merchandise from Aromababy and a cool Super Family bookmark! 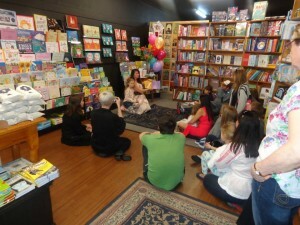 At 3 30 Bronny did a reading of My Super Single Dad to an enthusiastic crowd of kiddies hanging on to her every word. Bronny then signed all of their books and even read My Super Groovy Gran at the request of one super fan! The book launch was such a thrilling way to end a very productive year for the team at My Super Family, and we’re hard at work revising our next book, My Two Super Mums. If you weren’t able to join us on the day, here are some pictures of what you missed out on! Brad with some super cupcakes! A super single dad and his son! Do you know what gets my goat? Journos like Andrew Bolt lambasting single mothers for all of society’s woes! And don’t get me started on the TV programs that show women in their late 30s or 40s having abortions because they fear becoming single mums (yes, I’m looking at you The Slap!). A quick Google search of the words ‘Andrew Bolt’ and ‘single mother’s’ revealed an astounding number of pages and pages of search results for his blogs, not all of which lambast single mothers, but also for comments attached to his blogs. This actually just made me feel sad that single mothers who are already vulnerable, are attacked rather than assisted. Let’s keep in mind that the Labor Goverment in 2013 enforced a new law whereby all single parents once their youngest child turns 8 will be transferred to the New Start allowance – a measly $527 per fortnight. Somehow this is supposed to force single parents into work rather than be on welfare. It does not take into account who will look after the children before and after school – or the fact, the amount most likely earned whilst working will in fact be paid out to before and after school care if parents can not find some other cheaper option. It got me thinking – why the hate Bolt? What did single mothers ever do to you. Why can’t you ever write in a constructive supportive way about single mothers or in fact just keep your opinions to yourself. Really? Why so uncomfortable? Is it because single mothers step up and take responsibility when usually fathers have walked away? Happy to have their fortnightly visits or indeed – no contact at all. What I find uncomfortable is the rate of abandoned pregnant women by father’s who choose to not take responsibility for their actions! In fact statistics gleaned from the USA (apologies it’s not Australian – apparently the Australian Census doesn’t deem this important enough to gather these statistics) showed that a remarkable 44.2% of single mothers are either divorced or separated! Given there is a trend away from marriage it’s not surprising that the second highest statistic is that of those never married – 36.8%. This does not take into account whether the mothers were in fact partnered and abandoned post pregnancy announcement, or after baby came along. Regardless, it really doesn’t help single mothers when high profile journalists like Bolt like to dig the boot in because their parental status makes him uncomfortable. My God, what an amazing woman. What an amazing parent. Such dignity in the face of such an unbelievable situation. The fact she even allowed contact at all is a credit to the kind of woman she is. Obviously one with values and beliefs that believed her child should be allowed a relationship with his father. Bravo Rosie. Bravo. I would like to suggest something, let’s get rid of the label ‘single mother’ and just call her ‘parent’ because that’s what she is and does whether she is in a relationship or not. She is the parent picking up her child from school at the end of the day. She is the parent you see walking hand in hand with her child around the lake. She is the parent you see dropping her child to dance lessons. She is the parent you see playing tea party in the front yard. She is the parent doing the work of raising her child the best way she knows how. I’ve lost count of my partnered friends who tell me ‘I’m really a single parent because (insert hubby’s name) is constantly away with work!’. Um, yeah you’re not love, but anyway. I’ll stick to the point. Does this family situation also make Bolt feel uncomfortable? The family that has one parent work away so much so that one of the parents feels they are single? Or is this okay because it fits the stereotype of how a family should be. How does Bolt feel about parents who stay together in abusive, angry households for the sake of the children? Is this a better option than removing the child and putting them into a single parent house? One that is safe and bereft of anxiety and drama? Well thanks Bolt at least you acknowledge that women do work in the home. Oh, sorry you were having a dig not implying that the work women do in the home is a job. You see, it’s pieces like the Bolt one that make it seem like all single mothers chose to be single mothers, that they said, oh hey – look I can get $600 a fortnight from the government (because that’s a fortune – right?) and live off the fat of the land and get myself a big screen TV. WRONG! He seems to be forgetting all the single mothers who fled to women’s shelters, and left abusive narcissistic men, who were dumped when they were pregnant and decided abortion was not the answer, all the women who lost partners to horrible accidents or who were simply left for another woman, or another life, or something people like to call ‘freedom’. And it’s not just women, it’s men raising children on their own too, and men who end up in the same situation. I’ve even heard of men who have partnered with a single mother, loved her children as his own, only to have her pass away and he be left the father of her children. Did he walk away! No he did not, he raised those children the best way he could. I guess the good news stories like this don’t really make the headlines, because when you’re doing a good job – well who wants to know really – no one! But when you stuff up and you do a bad job, well that’s when everyone wants to make sure you feel like you are the reason our jail’s are full, children are committing crimes and probably responsible for genocide as well. Clearly I am being sarcastic. My point is this. Being a single mother is not a crime. It does not make you a terrible person. I would actually say it makes you a kind of super hero, because you are the one who stuck it out, who took on the responsibility and didn’t walk away. Single Mothers have raised some amazing people! Barrack Obama, Angelina Jolie, Orlando Bloom, Christina Aguilera, Halle Berry, Bill Clinton, John Lennon and the list goes on! Single parents have and will continue to raise amazing human beings who contribute to this world. I know MANY amazing single mothers myself! One runs her own PR business and has a slew of successful clients and companies, many you will have heard of and possibly purchase from your supermarket on a daily basis! Another is a successful Interior Designer and runs a catering business on the side! Another is on TV regularly in commercials. Another is a Psychologist. Another a Professor. Another recently launched her 3rd book to great success sharing her tips on parenting and eating well. Another is a lawyer who gets paid to travel the world giving legal advice to huge corporations. Another is my own mum, who took herself back to University as a mature age student and became a Psychologist, Counsellor and Social Worker! Amazing not just single mothers but WOMEN! How about we put our hands together for these single mothers, kicking goals, being amazing and raising wonderful human beings in an environment that provides, love, safety and security. Because let me tell you Andrew Bolt that’s actually all a child needs whether it is provided by 1, 2, 3 or even 6 parents! You’ll hear more about this from me. Why? 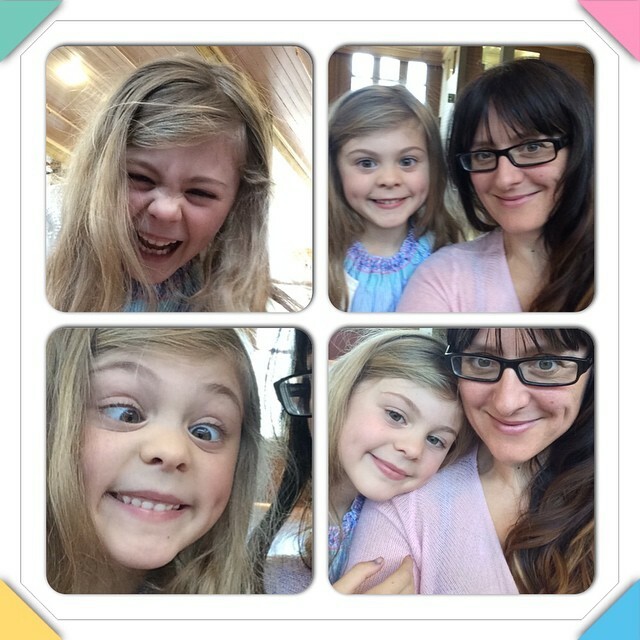 Because I’m a single mother!It’s the whole reason I wrote My Super Single Mum – because I saw a gap and realised our children needed to feel loved and valued even in literature. And I’m passionate about this topic. And all I can say is this. I am single mother, hear me roar and I will not be tarred by the same brush that biased journo’s like Andrew Bolt like to tar us all with. Adele’s album ‘21’ is one of the highest selling albums ever released. Her songs ‘Rolling In The Deep’ and ‘Someone Like You’ remain on radio playlists years after they were released and the world is eagerly awaiting her third record in 2014. Many people have heard about Adele’s heartbreak but not as much about her childhood being raised by single mum Penny Adkins. Adele’s relationship with her father, Mark Evans, is not as brilliant. 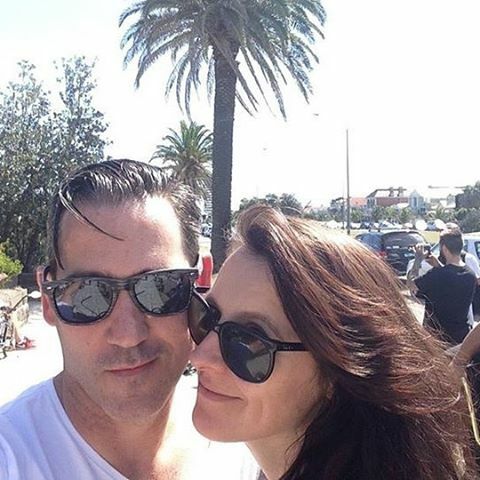 Adele had a distant yet consistent relationship with Mark in her youth, spending summer vacations with him. 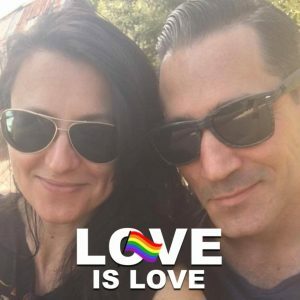 When Mark became an alcoholic, their relationship completely disintegrated. When she eventually made it big, Mark started selling stories about her to the press, causing Adele to respond “If I ever see him I will spit in his face”. Consequently, they have not spoken in a number of years.